I bought this book recently after seeing it at a friend’s house. 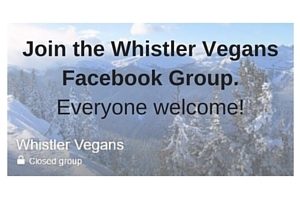 The author, Emily von Euw, is the owner of the beautiful food blog, This Rawsome Vegan Life and is based just down the road from us in Vancouver, BC. After making just a couple of recipes it instantly became my favourite cookbook! I had been looking for a cookbook that had easy-to-make, delicious, healthy recipes and this one totally hits the mark. It’s a wonderful mix of cooked and raw recipes, with a great variety to please everyone’s palate. If you’re looking for a healthy cookbook from a local author, you can’t go wrong with this one! Mac’n’Cheeze – I made this with zucchini noodles instead of pasta. It was delicious. The sauce is made with yams! 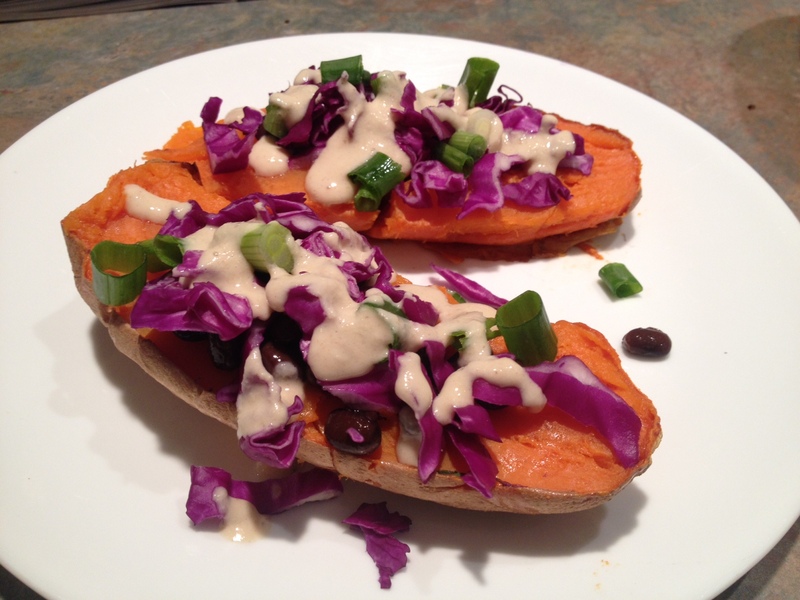 Fully Loaded Yams – Black Beans, Sesame Miso Gravy, Green Onions and Purple Cabbage. You’ll want to make double of the gravy so you can put it on EVERYTHING you make that week! Yum. Summer Rolls with rice paper wraps – with Shredded Veg, Avocado, Basil, Mint + Dipping Sauce. I had the leftover dipping sauce on some steamed veg the next day too and it was sooo good that way too! I made extra Summer Rolls for my lunch, this time with collard wraps. I Love Yu Choy – I modified this one a little as I had different veggies in my fridge. The original recipe is Steamed Greens with Brown Rice, Beets, Black Beans and Ginger Almond Sauce. The sauce is amazing!